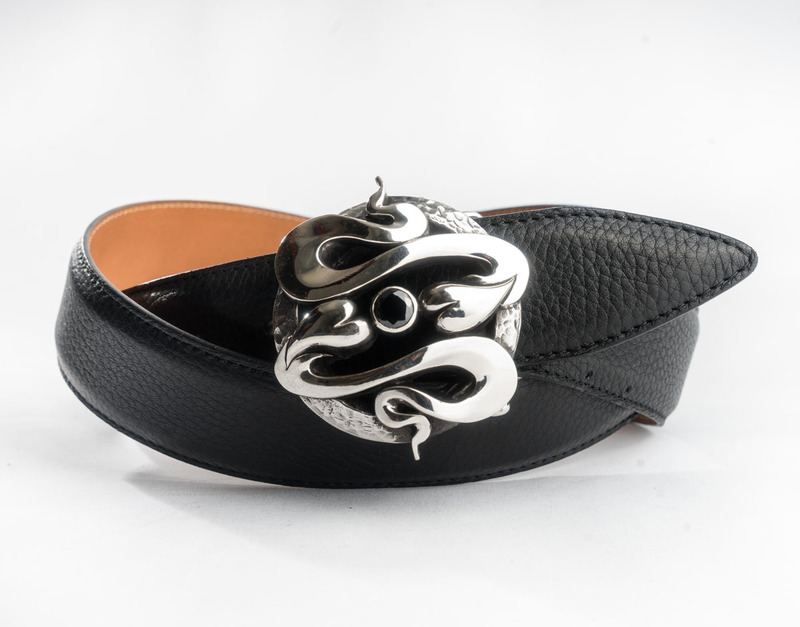 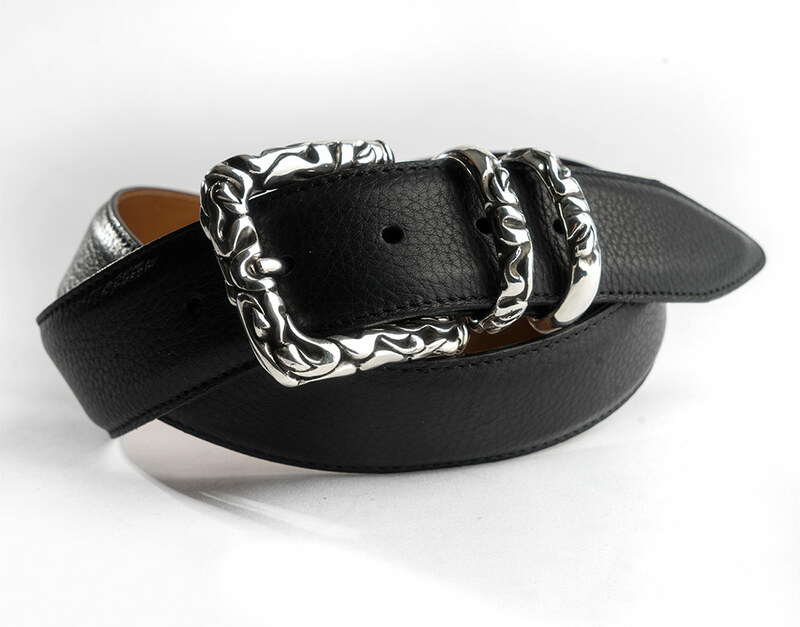 Squared buckle with snake decoration. Height mm 40. 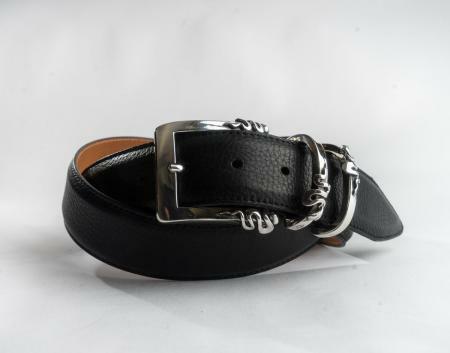 Available in black or dark brown and simple or tumbled calf leather . 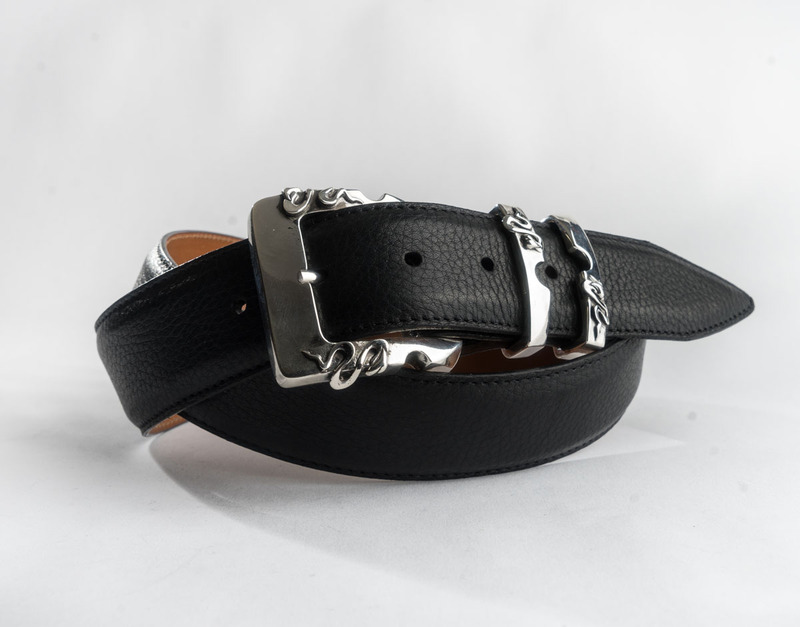 On request available in different leather: Calf, Lion, Iguana, Croco Vintage, Karung, Turtle, Kudu, Elefant, Ray, Hippopotamus, Kangaroo, Sturgeon, Arapaima and Ostrich. 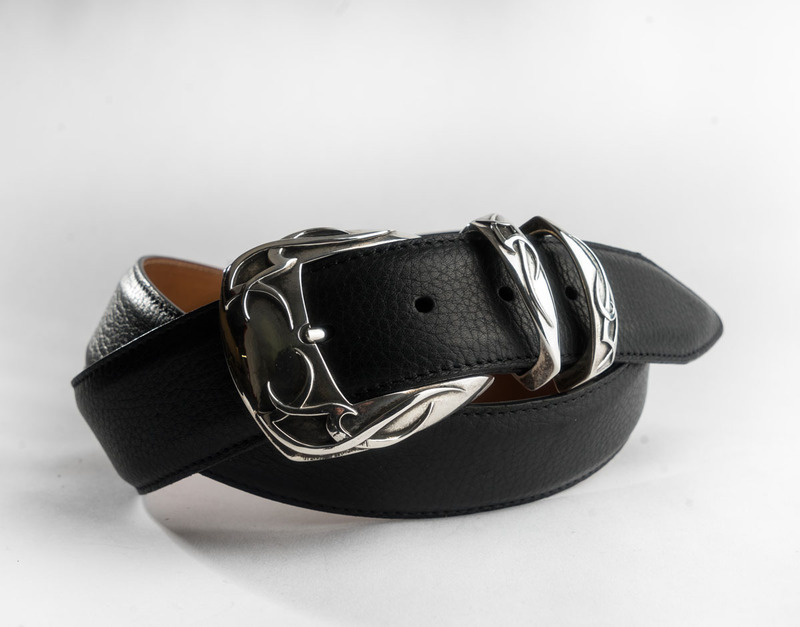 Claudio Calestani belt collection has been designed and handmade using the ancient lost-wax casting technique.